Automotive OEMs are using composites in production vehicles to reduce weight, improve fuel economy and reduce emissions. 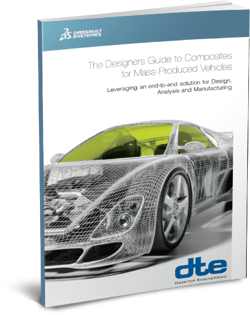 This eBook discusses how CATIA Composites Solutions provides a dedicated environment for the design of composite parts and structures. To download the eBook, simply fill out the form.